Jagan Institute of Management Studies organized a MDP program on the topic “Managing Conflicts at Work place” on 16th September, 2017 at its Rohini Campus. 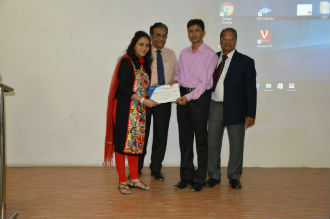 The Key Resource Persons for the MDP were: Prof. S.C. Kapoor and Dr. Neelam Dhall. Prof. Kapoor started the session with an interesting story highlighting the concept of Conflict, its various sources and types. 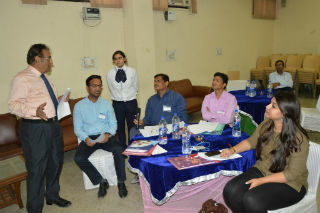 He also gave inputs on Conflict Resolution Strategies and their application in different situations to resolve conflicts. Thereafter, Dr. Neelam Dhall discussed the role of Emotional Intelligence in Conflict Resolution at workplace through a highly interactive session. 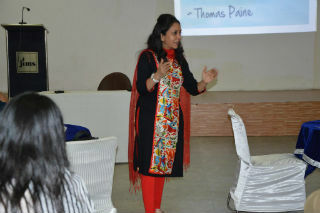 She also provided insights into Conflict Resolution using Transactional Analysis. One session was entirely dedicated to help participants know their actual Conflict Resolution Styles, their respective EQ scores and different facets of their Personality through self-assessment. 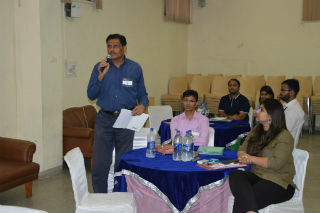 The logical analysis and detailed interpretation of individual scores by the resource team not only came as a real eye-opener to the participants but also triggered lots of queries and discussion. 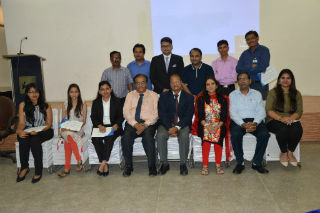 The programme was a perfect blend of theory and practical inputs which were shared through video clippings, real-life cases, short stories and exercises. 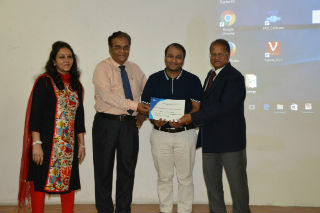 The programme was attended by participants from organisations such as CRM NEXT; KARBONN Mobiles; Atlas Cycles; HCL Technology; Hotel The Park and Sky Line Power Solutions to name a few. Participants really enjoyed the programme as they appeared totally charged up and displayed high enthusiasm & energy during the entire programme. The programme concluded with distribution of certificates to participants and vote of thanks by Dr. J.K. Goyal, Director JIMS. Overall the programme was well appreciated by the participants who expressed their willingness to attend such programmes in future also.